The 14th of July is the commemoration of the beginning of the French Revolution with the Storming of the Bastille on 14 July 1789, and la Fête de la Fédération which took place in 1790. In France, Bastille day is a national holiday paying tribute to the French military. When the holiday coincided with the 100 year anniversary of the Great War, France invited all nations that helped them in WWI to join in the military parade. 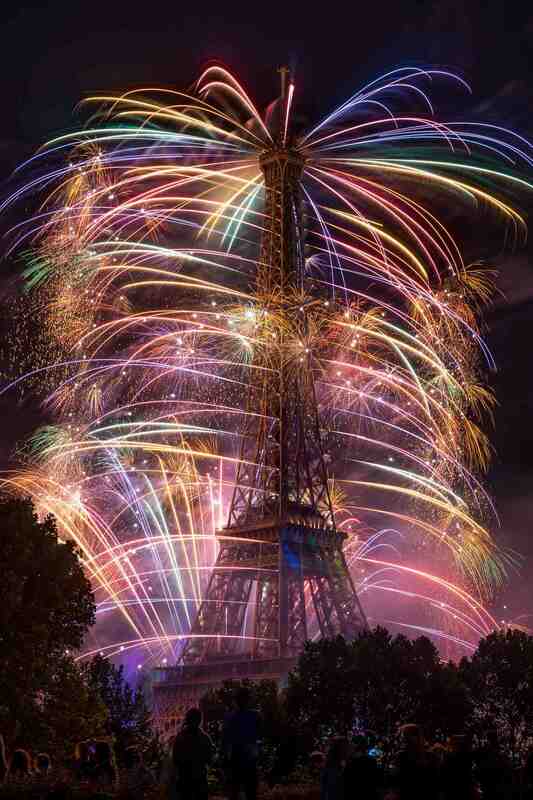 That night, there were parties across the country and in Paris the fireworks lit up the sky over the Eiffel Tower. This photo was taken with a Sony A7 and Zeiss 55mm lens. The settings were ISO 100, f/10, with a 7-second shutter speed.